Debt management is usually a short term solution which allows you to structure and plan out your repayments back to creditors. Debt management plans are an alternative solution to help maintain payments on your current debt. The first step is to approach your creditor or you could instruct a debt management company to schedule and organise the repayment of your existing debt over an agreed period of time. It must be noted that this is an informal arrangement and is not binding to any of your creditors. Should they accept an initial offer of a repayment plan, it must be noted the creditor has the right to alter the agreement and ask for you to clear the remaining balance at short notice. We must warn, the interest is not frozen on repayments which could result in you not clearing the original debt throughout the duration of the plan. At Bloomsbury Law, our top debt management specialists are an integral part of our debt recovery department and have years of experience in debt recovery and delivering debt management advice. Our top debt specialists have a streamlined process which devises debt management plans for our clients in the most efficient and effective ways possible. Our expert debt management team have the knowledge and expertise to support you no matter how complex the case. 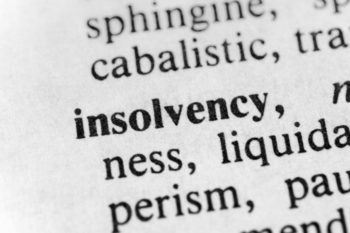 We understand debt management can be stressful, but please note it is of the upmost importance you contact a specialist debt management solicitor to receive expert advice, as opposed to a debt management agency. We have many years of experience in dealing with debt management, so please call us with confidence.